RMVB format has its own limitations as it cannot be streamed with any device we want. For smooth playback, RMVB files has to be converted into MP4. If you are looking for a great tool to convert RMVB files to MP4, keep reading this article. Also, you will find how are convert MP4 to RMVB here. The many features that iSkysoft Video Converter Ultimate comes with make it the best suited for converting RMVB to MP4. Enjoy using convert videos, convert audio, convert DVDs and copy DVDs as well as burn DVDs as the key features in iSkysoft. There are other features to get the best out of like capture screenshot, automatic update, merge multiple files and built-in media player. With a single click, you can download video files online and it is tool-proof. With hundreds of video sharing sites supported, you will be in for a treat of your lifetime. 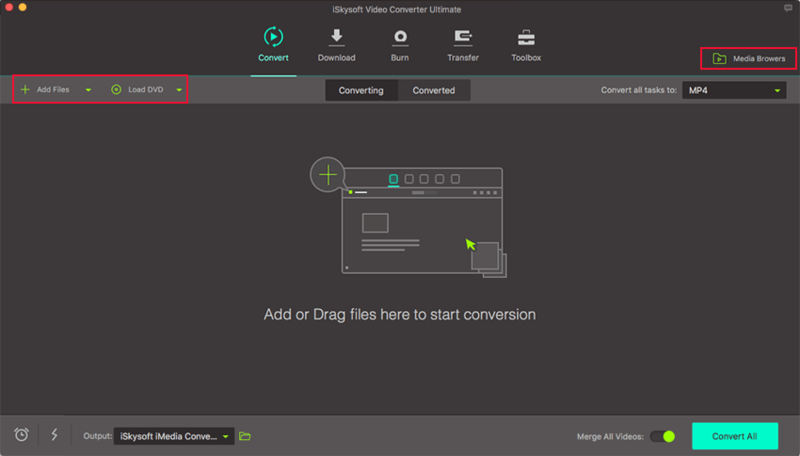 iSkysoft Video Converter Ultimate can convert more than 150 video and audio formats. This makes it an excellent tool for video professionals and novices alike. It converts video and audio with speeds never reached before; up to 90X. It supports	no-loss conversion. The quality will remain the same. Add special effects to your video like watermark, subtitle, music and more. Download or record video from YouTube, Facebook, Twitter, Vimeo, etc. 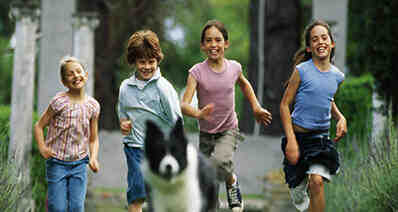 You can send the video to a wide range of mobile devices, the Internet and even DVD. To begin conver RMVB to MP4, the very first step it to download the software. You can click the "Free Download" buttons below to have it. Mac and Windows versions are available. Now when you have installed it on the computer, you can follow the step-by-step guide below to convert RMVB to MP4. Go to the main menu and clicking "Add Files" . Choose the RMVB on your computer. Alternatively, you should save time by dragging and dropping them to the the RMVB to MP4 covnerter. Batch conversion is supported. MP4 is the format that you are to choose in this case for converting your RMVB files. You can choose it from "Convert all files to" option. 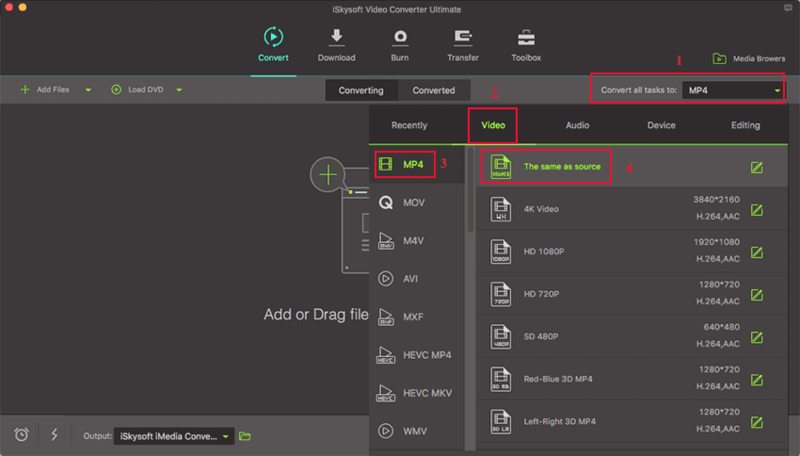 Click on the "Convert" button, the conversion process from RMVB to MP4 will flow smoothly. Quality of your converted files remains original as it was. Finally, find it from the "Finished" tab. The RMVB video is converted in MP4. While talking about MP4 to RMVB converter, ensure that you have picked the most effective solutions available out there in the market. Choosing the wrong application means, you lose out a lot in the long run. 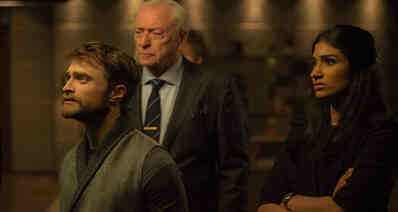 In this part, we have picked few of the most sought after online MP4 to RMVB converters. You can try them right away to check if they meet your exact needs or not. 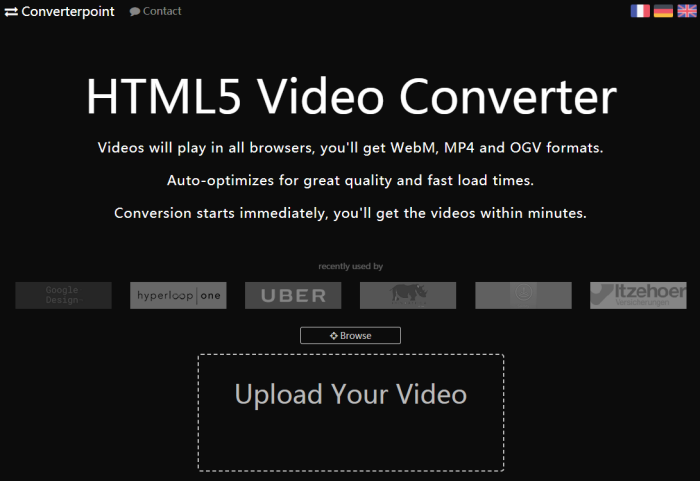 This is also known as a HTML5 converter. When you convert with this MP4 to rmvb converter, you need to spend $0.72 for each video conversion. The converted videos can play in any browser. MP4, WebM and OGV are the most popular output formats. It quickly loads your video for conversion and automatically optimizes the video for better quality. The file size for this MP4 to rmvb converter is restricted to 4BG. It doesn’t support batch conversion though. It’s a secure way to convert videos online. Browse http://converterpoint.com/ > click ‘Browse’ > select video > ‘Open’ > choose format > download. Cloudconvert is among the known online MP4 to rmvb converter that supports 218 conversion formats. The formats include, audio, video, ebooks, documents, archive, spreadsheets, images, presentation formats etc. With a mighty API system, you don’t need to install any application but get the best out of it online only. As the name suggests, this website offers you cloud storage for accessing the converted files from anywhere at any time. You can upload a file from a URL, Google Drive, Dropbox, Box, or One Drive. The site maintains safety by immediately deleting the converted files. You can use the advanced features and set codecs for video or audio files. It even supports batch conversion and folder monitoring. Browse https://cloudconvert.com/wmv-to-rm > ‘Select File’ > ‘Select from my computer’ > ‘Open’ > ‘Start Conversion’. Uploading the video takes a lot of time with this online MP4 to rmvb converter. You can either upload a video from the computer by tapping ‘Upload’, dragging and dropping or using its online URL under the ‘URL File:’ section and tapping ‘Add File’ button. No file is stored after uploaded by you after conversion. They are deleted automatically after 2 hours of being converted. The site contains plenty of Ads, which users might find a bit overwhelming to work around. Though, the process is very simple. All you got to do is upload the video to the above mentioned link and tap ‘Convert’. At the end, you could hit the ‘download’ button and get your desired video converted from MP4 to rmvb right there. Here the video you need to upload should be within 50Mb. Step 1: Browse https://www.ofoct.com/video-converter/convert-to-realvideo.html. Mark the ‘Options Setting:’ as per your desire. Video size, frame rate, audio quality, video quality etc. can be decided here. Step 2: Now, come to the ‘Upload’ section. Click the ‘Upload’ button > choose a video > ‘Open’. Alternatively, you can drag and drop the file to the ‘Upload’ area or copy and paste the video URL under ‘File URL:’ > ‘Add File’. Step 3: Go to the ‘DEST FILE’ section right above the ‘Upload’ area. Find the ‘download’ link in blue > tap the link to download video.